Sesame is here! 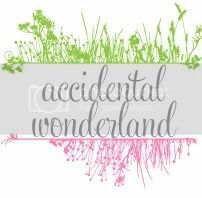 A lovely bunch of bloggers have jumped in to help me out at this time so I don't have to worry about a newborn, a toddler AND blogging. 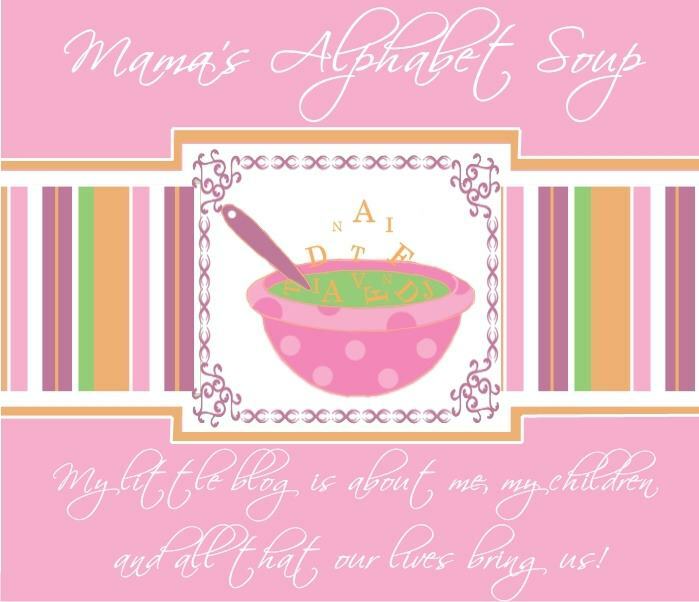 Today, Erika from Mama's Alphabet Soup is here to tell her son, Damon's, birth story. With my due date 8 weeks away I had no idea what was in store for me when I woke up at 1.14am on April 10th 2003. I got up thinking I had wet myself, (lovely I know but something I assumed could be a part of being so huge and pregnant) so I jumped in the shower and it stopped. I changed the sheets on the bed and layed back down, only to have it start again, it went on like this for about an hour everytime I laid down!! So I got up popped in a pad and sat on the couch watching some late night TV. At about 3.45am I started having some pain, nothing major just some cramps. It was no where near as bad as period pain so I thought nothing of it. I managed to doze off on the couch for a couple of hours, when I woke up I felt much better so I got myself ready for work and I got Tate ready to go to my Baba's for the day. On the drive to Baba's house the cramping started again but still nothing to major. Once I got to Baba's I thought I should perhaps just call the hospital and see what they thought. The hospital told me I should definately come in and be checked as soon as I could, so I called Dad to tell him that I wasn't coming into work. I kissed my Baba and Tate good bye without telling Baba where I was going as I didn't want to worry everyone if I didn't need to. I drove myself to the hospital and was taken straight in, the doctor was with me about 2 minutes later and he took samples of the fluids I was loosing and took it away to test it. About 5 minutes later returned to tell me that my water had broken and I was being admitted with the hope that they could hold off my labour for as long as possible, he was hoping at least 2 weeks. Which would mean I would be in hospital confined to bed for 2 weeks!! I was taken straight up to the labour ward and hooked up to what seemed like a hundred machines to monitor me and my baby. By this time I was scared!! My mum was stuck at work and couldn't come to the hospital (but she called every half an hour!). Then the precession of doctors and specialists started. 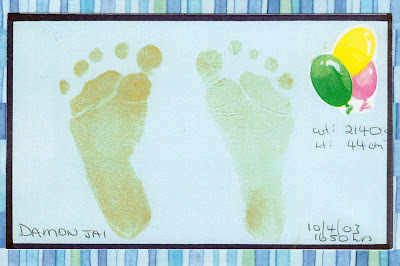 I had an ultrasound, which determined my baby was big for his "age" but still not as big as they would like, then the anethetist, who would be back if I needed him but not yet as it was too soon, midwifes, peadiatricains, and probably others I can't reamember inudated me with information about what they wanted to do and what would happen if they couldn't and he came today. I heard best case scenarios and worst case scenarios and everything in between. My head was spinning around and my pain was getting worse. Next I was given 2 steriod injections which were to help strengthen his lungs but would need at least 2 days to work. Then I was given 2 teeny tiny tablets that we supposed to stop my labour from progressing BUT they did thet exact opposite!!! About half an hour after having the tablets the anethsist was called as the pain had become unbearable. Ten minutes after that I felt the most irressistable urge to PUSH so I buzzed the nurse about 10 times and she came in had a look and pushed anouther button that had my room full of people withing 30 seconds. It was happening whether we were ready or not!!!! So NO drugs and 4 pushes later at 4.50pm my teeny tiny baby was born surrounded by a doctor, 2 midwives, 2 peadiatricains, the anethetist (who arrived and I had grab hold off and not let go), 2 neonatal nurses & Damon's dad. 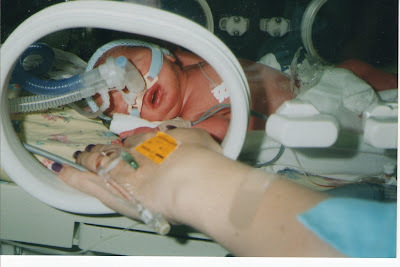 He was taken to an incubabtor they had bought to the room and checked out, I was given a quick hold (which would be only only hold for 3 days) and then they rushed him straight to the Neonatal Intensive Care Unit (NICU). Which was the beginning of a whole other story. Damon Jai Wilkinson was born on 10th April, 2003 weighing 4lb 11oz and 44cm long at 32weeks and 3day. My little premmie is now nearly 9 and the most impatient person I know!! A concidence? I think not!! 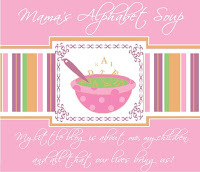 Erika blogs over at Mama's Alphabet Soup. She's an Adelaide, scrap booking, photo loving mum to three boys. In her spare time she also loves blogging, reading, baking and spending time with her family and friends. You can find Erika on Facebook as well. She's one super mum! 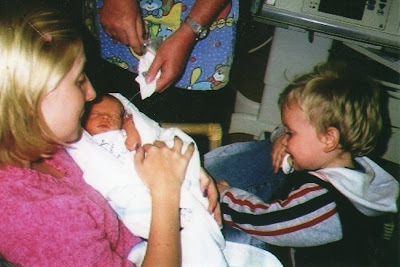 Thank you so much Erika for sharing your birth story. I'm so glad it had such a positive outcome!